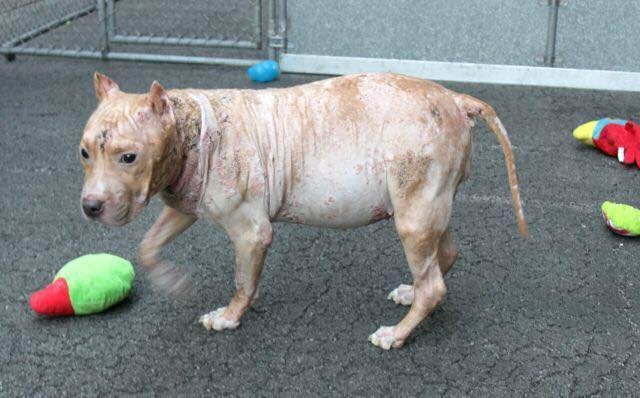 Paige was surrendered to the Animal Care Center of Manhattan (ACC) after her owner had to move away, and was brought to the shelter in horrendous condition. 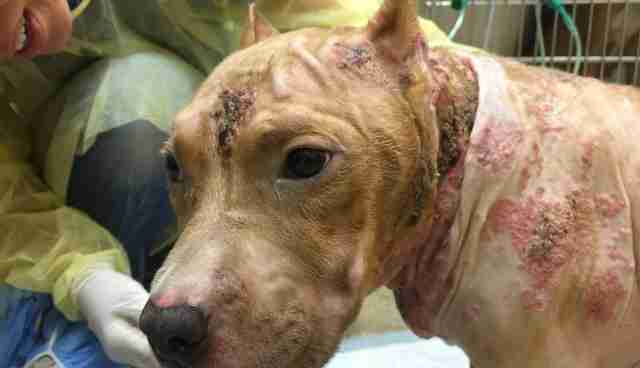 The 3-year-old pit bull is missing most of her fur and is covered in wounds both old and new. Just looking at her, it's obvious that she must be in so much pain - and yet she rarely ever shows it. "To dwell on Paige's appearance would be a mistake," Misha Barbour, a volunteer at the ACC, wrote about Paige in her original shelter bio. "She doesn't notice the looks of sympathy we get walking the shelter's halls or hear another volunteers' whisper of 'poor baby.' She comes in from the sun, warm and happy, and hops into her kennel without a care." Paige goes for walks and cuddles with the shelter volunteers as if nothing is wrong with her. When Paige was surrendered, her former owner noted that she loves playing fetch and meeting new people. She is the happiest girl, even though her condition is so poor. 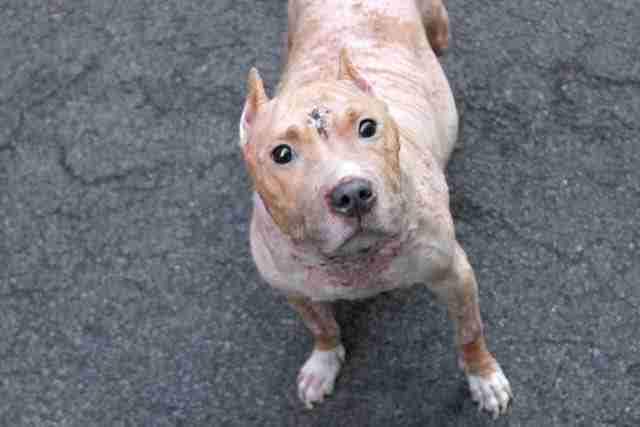 Paige was recently pulled from the ACC by Second Chance Rescue NYC. Paige is now under the group's care and getting the medical attention she needs - but she definitely still has a long road ahead of her. 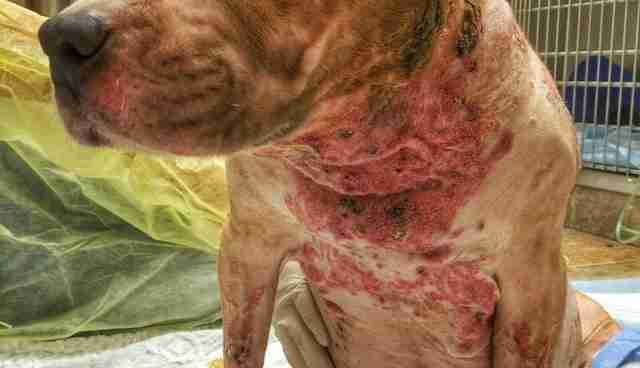 Once she was seen by a vet, it was determined that Paige has Cushing's disease, pneumonia and a skin condition. 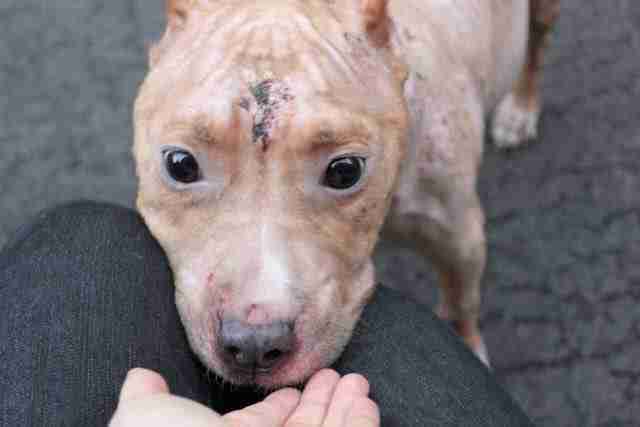 Her body is so raw and red all over, and it will definitely take time for her wounds to heal. In the meantime, though, Paige remains in good spirits. The poor pup has to be given oxygen to help her breathing, and is such a good sport about it all. 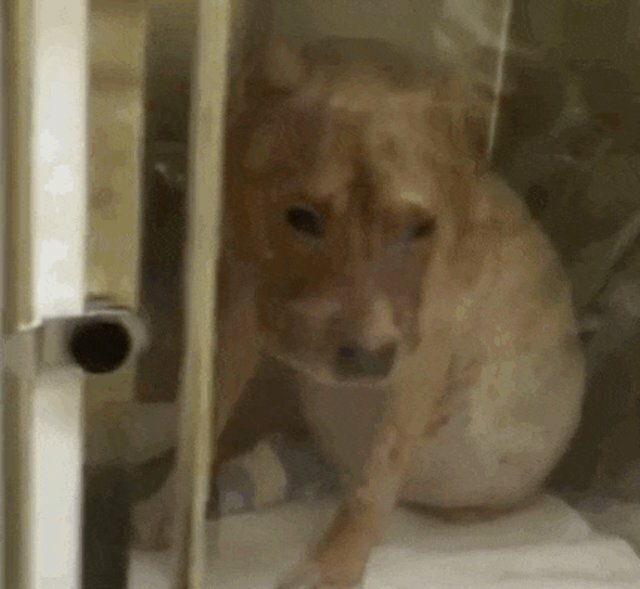 She may be sick, but Paige's rescuers are hopeful that she'll make a full recovery, and will eventually be able to find a forever home that appreciates her for the incredible girl she is. "It seems that to Paige, the world is beautiful, and so is she," Barbour wrote. 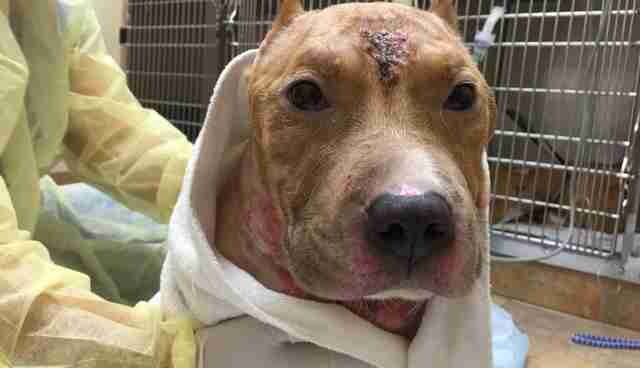 To help Paige recover, you can donate to Second Chance Rescue NYC.